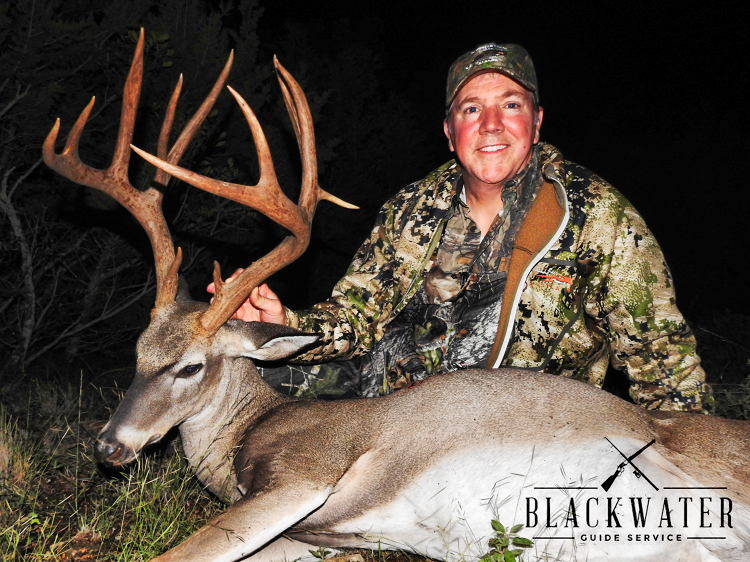 Black Water Guide Service brings you the best free range Texas Whitetail Hunt and trophy deer hunts throughout the State of Texas. From San Angelo to Rocksprings our hunting properties offers the most space, adventure, and the highest possibility to harvest your next trophy buck. Looking for a true free range trophy whitetail deer hunt? BWGS has just what you're looking for. For 2019 we will have a pasture dedicated to 130" to 160" plus free range Texas whitetail hunts. Do you need a quality Texas whitetail deer hunt that won't break the bank? Come enjoy a low fence guided deer hunt with us in San Angelo, Texas! Never be bored again.